I’m cutting back on challenges this year; I plan to start with one year-long challenge and occasional shorter ones. I love challenges, but keeping track of them seems to take a lot of time that I’d rather spend reading and reviewing, so I’m trying to simplify things this year. NOTE: The ending dates for each challenge are a month earlier than shown. I add an extra month because the UBB Reading Challenge widget doesn’t show or count the books until the review is posted… but I only include books actually read during the official dates of the challenge. 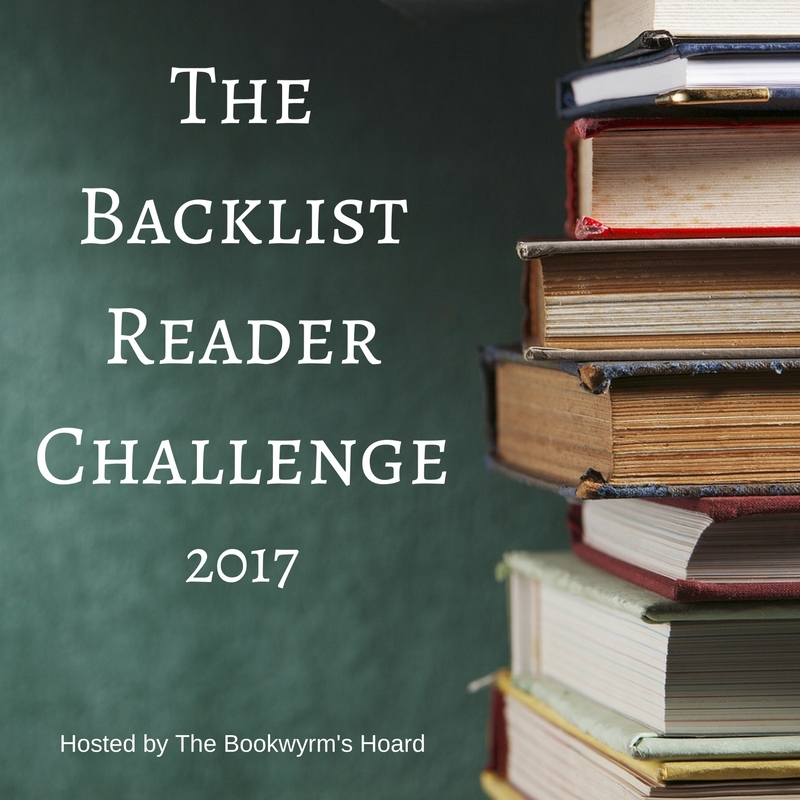 I’m hosting The Backlist Reader Challenge, which is for older books (published before 2016) that are on your TBR shelves or want-to-read list. My goal is to read at least 24 older/backlist books that I haven’t read before. There will be at least one giveaway for challenge participants, but as the host, I’m not participating in that! 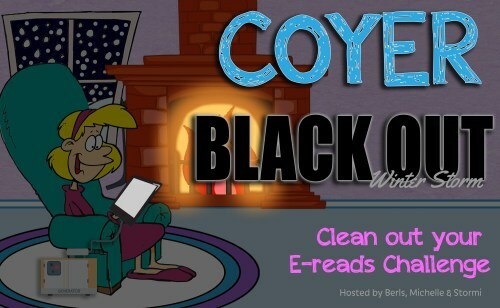 COYER Blackout is hosted by Berls of Fantasy is More Fun, Michelle of Because Reading, and Stormi of Books, Movies, Reviews, Oh My! Each COYER challenge has different rules; this one is for clearing out your e-reader of all those free and $0.99 books you’ve accumulated. You can read all about it on the sign-up page. I’m doing the same thing, Lark. It’s just too hard to manage multiple year long challenges. Managing them is sometimes harder than completing them! I would have participated in yours, but I have my reading assignment challenge and that’s it for me this year 🙂 Good luck! Glad you’re still doing COYER!! Good luck! I’m really really terrible at challenges but I think I could probably complete the Backlist challenge because that’s most of what I read:). I’m always behind the times! That probably means it wouldn’t qualify as a “challenge” for my particular reading habits. Good luck with your challenges. I am really cutting back this year too as I didn’t track anything for the many I joined last year!! Keeping track seems to eat up a lot of time… otherwise, I would do several other challenges. I may still add one or two, but I’m going to try to keep it to the one (well, two, with the Goodreads Challenge) year-long challenge, and one short-term challenge at a time. Good luck and most importantly, have fun with it! I’m participating in COYER Blackout, too! I don’t remember how many I said I wanted to read, but I hope I surpass my goal! Good luck with your challenges! And good luck to you with yours! Thank you, Anna! You too!